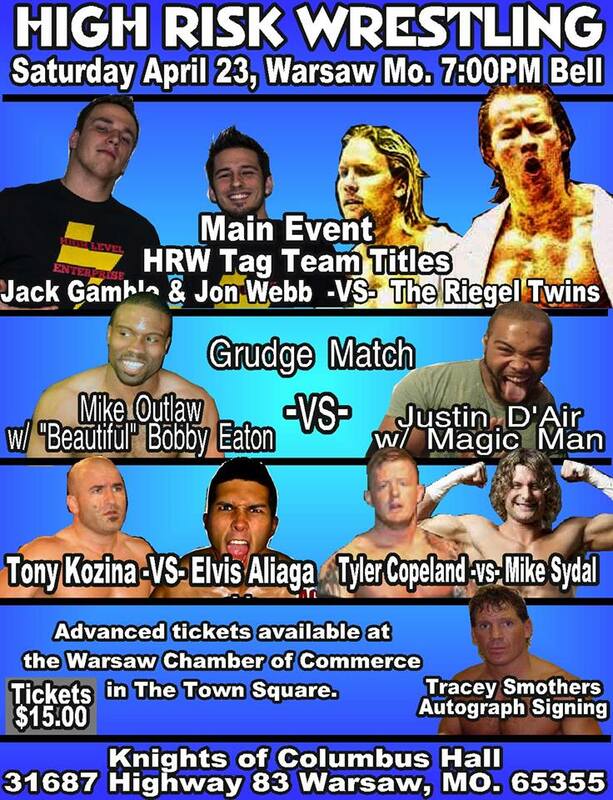 We are just a little over a week away from HRW’s Big Return to Warsaw, Missouri! I have been in negotiations with our good friends at The Mid-Missouri Wrestling Alliance in St. Louis to bring you a very special Tag Team Match featuring 4 of MMWA’s Top Stars! HRW has a signature match called a Mayhem Match. A Mayhem Match consists of three or more competitors all in the ring at the same time and it is one fall to a finish, however that’s not all! Mayhem Match participants are encouraged to let loose, go crazy and down right show off for your enjoyment! You have never seen anything quite like an HRW Mayhem Match! This match will feature two High Risk Athletes making their debut in Warsaw, Missouri and these men will do anything to impress the fans of HRW! Also featuring the semi finals and finals of The HRW Championship Tournament to crown a NEW Champion! The Main Event will be a HUGE Tag Team match where The Champions, The Riegel Twins will defend their Tag Team Championship against The Internationally traveled duo of High Level Enterprise! 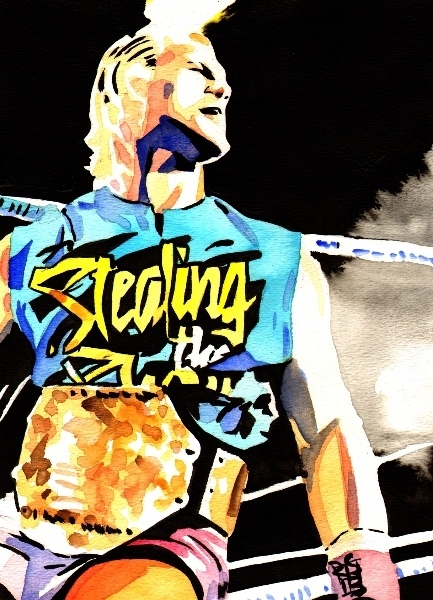 After the events in February where Mike Outlaw attacked his friend and Tag Team partner Justin D’Air. I was approached by Magic Man on behalf of an understandably irate Justin, who said that Justin was insisting on a match with Mike. Justin said he doesn’t care about Championships or anything else until he gets his hands on his former friend! A Very Special Legend will be available for you to meet and get autographs from! Former WWE, ECW, WCW, NWA, SMW Superstar, “The Wild Eyed Southern Boy” Tracy Smothers! This entry was posted on April 18, 2016 at 10:07 pm	and is filed under Uncategorized. Tagged: High Risk Wrestling. You can follow any responses to this entry through the RSS 2.0 feed. You can leave a response, or trackback from your own site.